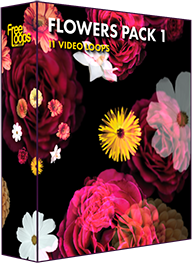 A colorful collection of flowers for your screens, this video loop is the perfect surprise for your Valentine. A romantic video to add to your media assets. This video loop is part of Flowers Pack 1.